Stopping Hate: President Sirisena, Deliver On Your Promise! President Maithripala Sirisena and Prime Minister Ranil Wickremesinghe, as leaders of the common opposition promised a land that would see rule of law, democracy, good governance and justice. The majority of Sri Lankans elected them against all odds, hoping that they would make this country a place where all communities could live in peace and harmony with each other in a tranquil environment. The preceding four years of the hate campaign on the minorities by Ven. Galagoda Aththe Gnanasara Thero and other extremist Buddhist groups saw the exit of probably the most charismatic and popular Sri Lankan political leader since independence, President Mahinda Rajapaksa. 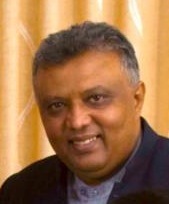 His crime was that he natured and let the wounds of racism fester amongst the Sri Lankan society. This made the minority-deciding voters to vote against his tyranny. The war victory in 2009 and the results of the Presidential election of 2010 gave him the illusion that he could win any election only with the support of majority Buddhist votes, hence his tryst with the extremists. 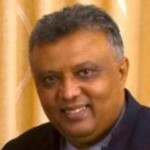 His attitude alienated the minority voters, who in-fact, had begun to move towards supporting the Rajapaksa administration, after the end of the war and the expected stability in the country. He failed to realize that a large number, from the minority communities had voted for him in 2010 in appreciation and gratitude for bringing peace to the country. He had the opportunity to go beyond Southern extremism and offer magnanimous concessions to the Tamil population and build a nation, where all communities could have lived as one. His arrogance, pride and prejudice made him lose that opportunity for reconciliation. It also cost him, his attempt of a third term Presidency. The country was made to believe by these extremists that former Defence Secretary, Gotabaya Rajapaksa provided protection to these racist elements; hence the law enforcement authorities would not take any action. This misconception provided the space for these extremists to propagate hate with impunity. A few days after the election of the new government, the Police media spokesman, SSP Ajith Rohana declared that the Police would take stern action against anyone creating hate and religious violence. To this day, his words have not been translated in to action. 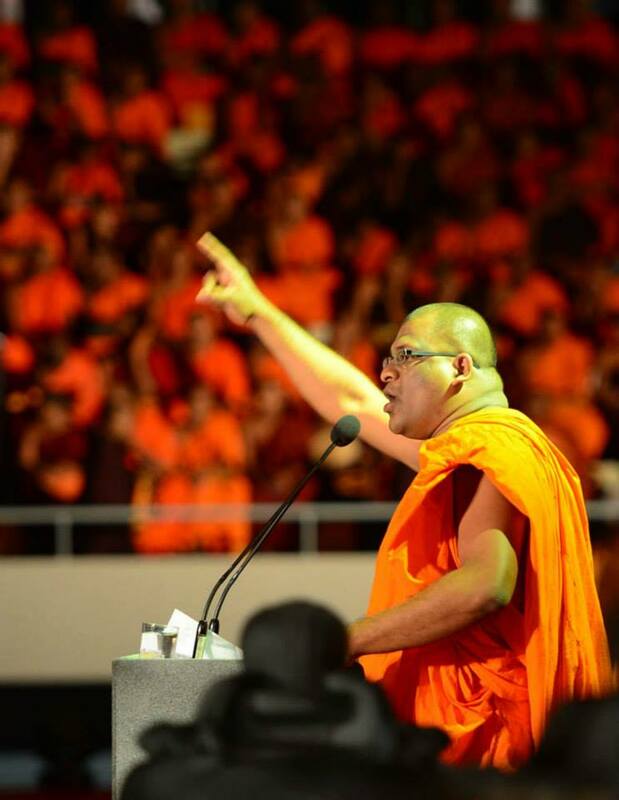 Soon after this announcement, the Bodu Bala Sena and Ven. Gnansara were back in action, threatening the Muslim community almost on a daily basis through their press conferences and other media tamasha’s. No action has been taken against the Bodu Bala Sena’s threat to march and destroy Dafar Jailani, a place of religious significance and importance to Muslims. The media continues to provide wide exposure to this threat. Dafar Jailani is Sufi Shrine of the Muslims that dates back to over a thousand years and is well documented in history. Dafar Jailani or the Kurugala caves is situated about 60 km from Ratnapura, with its nearest town being Balangoda. Darfar Jalani is an ancient Sufi shrine, sacred to Muslims and historical evidence point to a greatly revered Islamic saint; Sheikh Muhiyadeen Abdul Qadir meditated and lived in the rock caves, over a thousand years ago. The Bodu Bala Sena now wants to march to this ancient place of historical significance to Muslims, destroy its artifacts, monuments and wipe out all historical evidence. Tensions have erupted between the Muslims and Buddhist over counter claims to this shrine and its tranquility has been destroyed. The extremist Buddhists claim that the site has archeological value to them and the rock cave is an ancient Buddhist monastic site. They continue to demand the removal of all Islamic inscriptions that dates back to over a thousand years. This has led to the escalation of tensions between the Muslims and Buddhist in the region. The Muslims, had remained calm against all provocations during the regime of the Rajapaksa Presidency because they feared the hidden hand of Gotabaya Rajapaksa behind the BBS and Gnanasara Thero. With the newfound freedom and peace, their tolerance levels would be put to test as the Muslims feel that they would have recourse to justice under an independent judiciary and police. This may provoke them to defend their shrine if the BBS attempts to destroy it as claimed. This could lead to major violence. The promise of good governance, rule of law and justice would be put to the biggest test on how the administration responds to this latest threat by the Bodu Bala Sena to destroy Dafar Jailani at Kurugala. Yes where IS the archaelogical, documentary PROOF brother?In Talaimannar there is a site that is claimed to be the burital site of Adam and Eve of mythology. There are two forty foot graves in a simple muslim burial grounds in a coconut land next to Adams Bridge islands. Seriously how can a human being be 40 foot tall? That is mythology. That can be examined by doing Xray like techniques used to locate bodies underground. Such techniques were used to exhume Richard the III. So muslims will claim that too is FACT? I will like to see documented historical evidence and archaelogical proof and carbon dating type stuff done by a neutral western team to verify Brother Idroos’s claims. As far as I know it was Aboosally who brought in and settled quite a few muslims refugees from Tiger terrorists and gave them tea lands and the muslim population in Balangoda only escalated after 1977. Before that there were a few thousand in Balangoda city proper and rich Gem Mudalalis. but I have never heard of a “sacred mosque” by any of those muslims from that era. If it can be established and proved I say protect it. If not, protect both the Buddhist and Muslim sites for all but do not denigrate one another or try to destroy anything even if is a mosque built with Saudi money in the last 50 years. Why upset people in a tense nation?